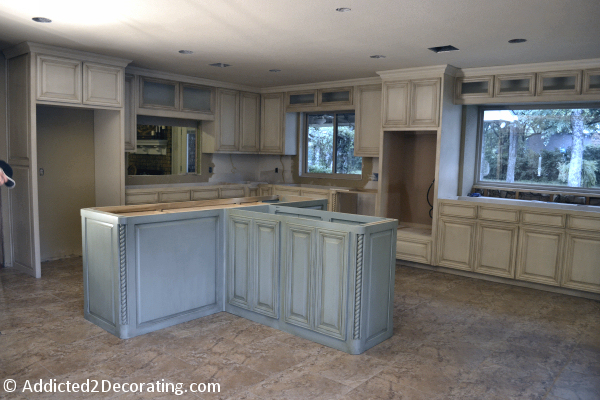 Yesterday I paid a visit to my client, Vicki, to see how her new kitchen is shaping up. The cabinets were installed on Monday, and I was excited to see how they turned out. 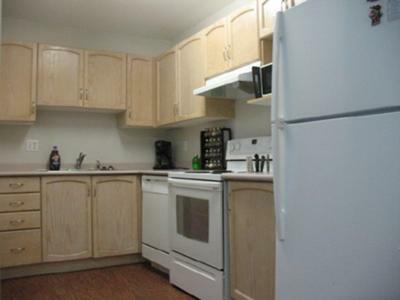 First, let me back up and show you how the kitchen looked the first time I saw it. 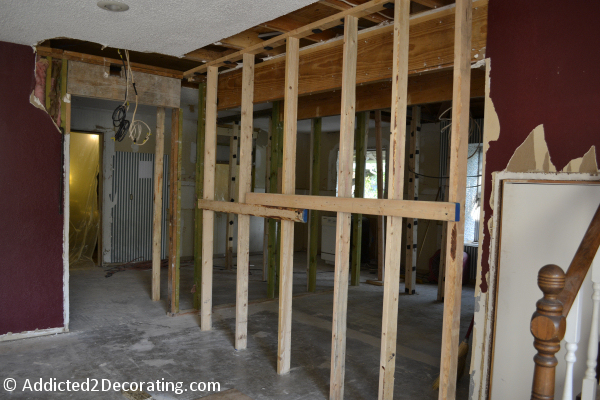 They were already well into the demolition phase, so all of the old kitchen was gone, walls had been removed, temporary support “walls” were in place, and the old flooring had been removed. Wow! What a difference!! I’m absolutely thrilled with how everything is turning out. And that kitchen island has to be one of my favorite things ever! The color doesn’t show up very well in these pictures. It turned more blue in the pictures, but it’s really a very pretty light aqua color. When the lights are hooked up, I’ll be able to get much more accurate pictures. Hopefully the granite will be going in next week! There’s still lots of work to be done, and plenty of decorating ahead, not only in the kitchen, but also in the family room, breakfast area, and dining room. 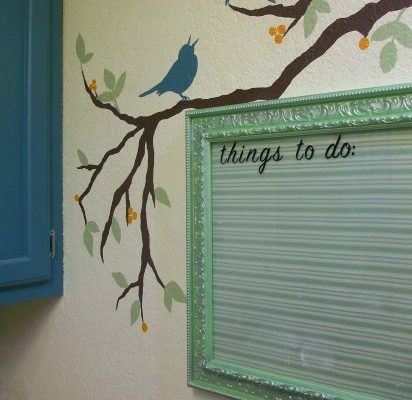 And I’m sure there will be a DIY project here and there that I’ll be sharing with you. I can’t wait to see these rooms finished!! Looks great! And, I love the windows. Wowza, that turned into a huge space for your client. How fantastic. Bet she gains 20 pounds cause she spends more time in there cooking! 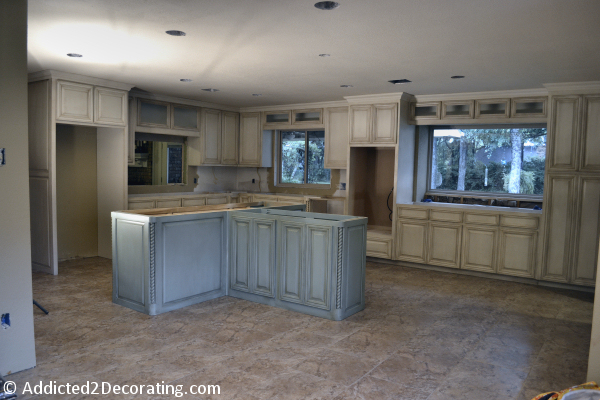 It has all the makings of a spectacular kitchen. And those windows! Wouldn’t it be lovely to have a bank of windows like that over the sink area? Can’t wait to see what you have up your sleeve! Gorgeous! You do such a good job…LOVE the blue! My kitchen was designed by a man,,one that has never cooked or washed a dish. I love the windows. Mine is to high about the sink to be really nice. It is beautiful. I love, love, love your work Kristi. It’s going to rock – love the island!! Can’t wait to see more!